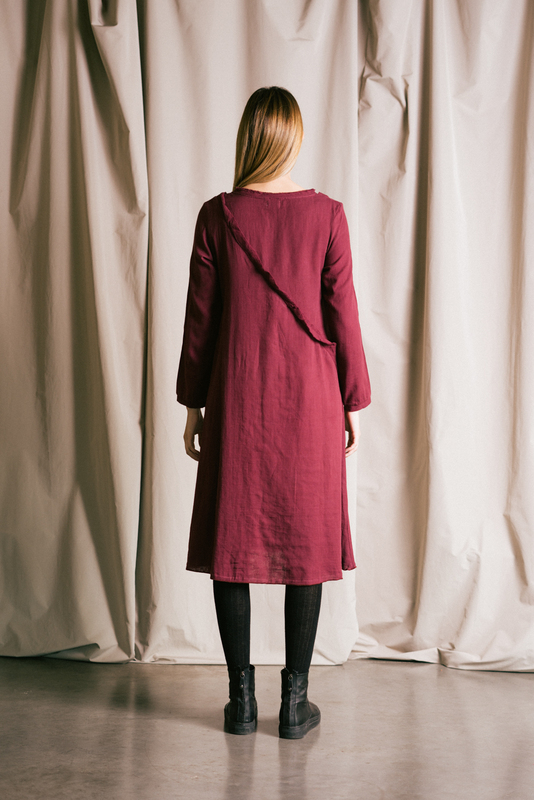 Sateen: Flared dress in organic cotton sateen that features raw bias ruffles wrapping around neck and bodice plus inseam pockets. Available with our custom hand block print. Colourways: Garnet, black + natural block print. Double cloth: Flared dress in organic double cloth that features raw bias ruffles wrapping around neck and bodice plus inseam pockets. 100% certified organic cotton double cloth.